Tom E. Moffatt - About Tom E.
Tom E. Moffatt writes funny action-adventure stories for kids. However, if you saw him walking down the street, you wouldn’t know it. To the untrained eye, he looks like a normal 40-year-old father of three young girls. You know… with a pink school bag slung over his shoulder and even larger bags under his eyes. To Tom E’s astonishment, his debut book, Barking Mad, won the 2015 Tom Fitzbibbon Award and a 2017 NZ Notable Book Award. He has since released his first collection of Bonkers Short Stories, with the second and third books to follow shortly. The idea for Barking Mad was conceived at roughly the same time Tom E’s eldest daughter, Anabella. Ever since then his writing time has been squeezed in around nappy changes and teddy bear tea parties. His writing desk fits neatly in the corner of the living room, amongst furry old stickers and pieces of Lego, and words flow more freely when he’s wearing noise-cancelling headphones. Tom E. is originally from Uxbridge, the kind of suburban London town that makes you want to travel. As a result, Japan, Italy, the UAE and Colombia have all featured on the bottom line of Tom E’s mailing address over the years. Since meeting a like-minded Kiwi girl in an airport ten years ago Tom has traded his backpack for a 1940s character-home with a lawn that constantly needs mowing. He lives in New Zealand in a town called Rotorua, which smells like Mother Earth just farted. It’s true … it does! You have to smell it to believe it. There’s so much volcanic activity that the ground is constantly blowing off, which means that its residents can fart as much as they like without getting caught. They’re an awful bunch when they go away on holiday though, with no one to blame but themselves. Despite not being able to blow off freely, travelling is still one of Tom E’s favourite pastimes. He has been to more countries than he has fingers and toes to count and hopes to visit many more in the future. 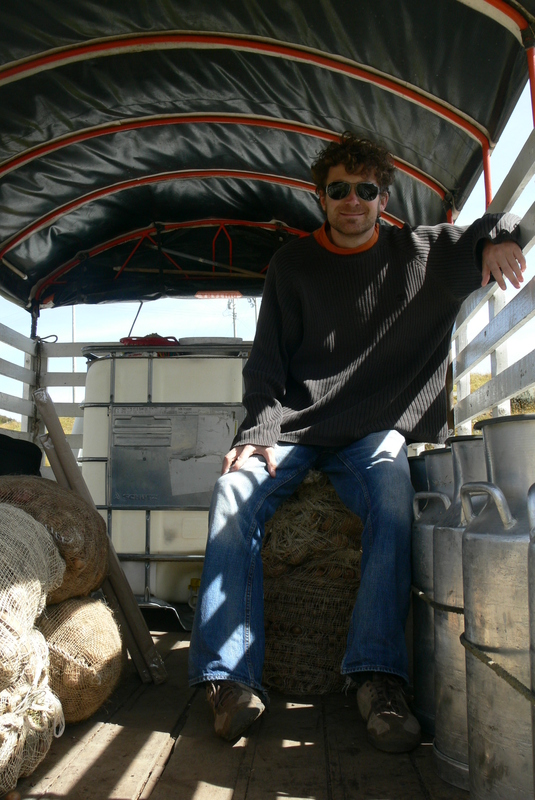 He loves using obscure modes of transport and has already travelled by camel, elephant, rickshaw, as well as on the back of a Colombian milk truck. Trying new food from around the world is one of the joys of travelling and so far he has found himself eating beetle grubs, snake and seagull. However, his willingness to try anything doesn’t always have a happy ending, and he once got so sick he vomited in front of a panda. Tom E. wasn’t too interested in writing during his schooldays, since he was so focused on goofing around. It wasn’t until after he left university that he discovered that writing could be fun. And only when he became a primary school teacher did writing and being silly join forces. After all, he couldn’t get up to his usual antics when he was the teacher, so he decided to write about them instead. Now that he’s no longer a teacher he gets to visit schools as an author. And do you want to know the best bit? Authors are allowed to be silly. At least no one has stopped him yet. 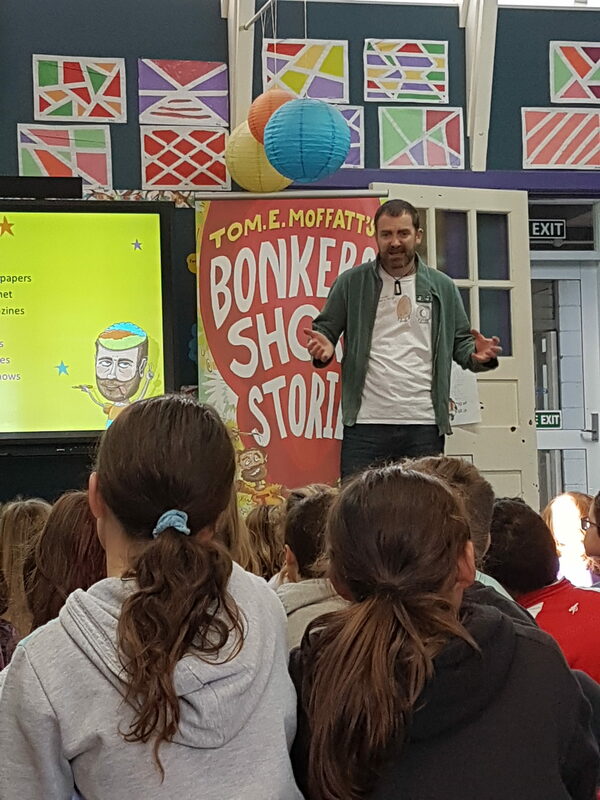 So look out for Tom E. Moffatt next time you have an authors’ visit day at school. He’ll be the one burping, telling jokes and generally being rather naughty. Are there any questions you would like to ask me? Fire away and I will try to answer them on an FAQ page shortly.